Cameroon has a long road ahead regarding advancements for children’s rights. In fact, important progress is to be made in the areas of right to health, education, identity, etc. More than 40% of the Cameroonian population lives below the poverty line with rural areas much more affected than urban areas. Poverty has a negative impact on the living conditions experienced by young Cameroonians: malnutrition, sicknesses, limited education, etc. In Cameroon, the infant mortality rate remains especially high and statistics show that 11% of newborns are moderately and/or severely underweight. 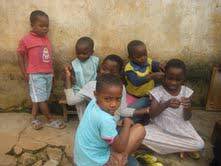 With limited vaccination coverage, each year Cameroonian children fall ill or die from malaria, malnutrition, diarrhoea, etc. Unfortunately, Cameroonian medical institutions do not have the adequate structure or enough qualified personnel to take care of these sick children. 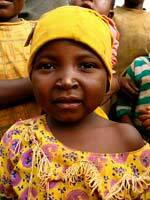 In Cameroon, parents hold parental authority and can force a young girl to marry. This means that they can force her to consent to a union with a much older man. Because of this, young girls, notably in northern regions, are indirectly forced to marry older men. This practise has disastrous consequences, both emotionally and psychosocially. In fact, young girls are obliged to have non-consensual relations with their husband. Furthermore, passage into adulthood is even more trying for them because they have no adolescence. Although female genital mutilation has diminished considerably, it is still practised in Cameroon (in the south western and extreme northern regions). It should be known that genital mutilation has adverse consequences on health, causing frequent haemorrhaging and infections. Furthermore, risk of complications is ongoing for circumcised women. Additionally, “breast ironing” (“massage” using heated objects in order to hinder the development of the breasts of young girls) is a custom that also seems to endure in the country. This country must take drastic measures to eliminate these prejudicial cultural practices. 30% of births are not registered in Cameroon, thereby complicating some of these individual’s rights. In fact, unregistered children are not officially recognized as members of society and therefore cannot assert their rights. They will forever appear invisible in the eyes of the community. Nevertheless, the government has taken measures to improve the situation: an action plan to register babies from birth, refugee children, children from marginalized populations, etc… has been implemented. 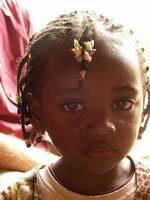 In some Cameroonian regions cultural beliefs involve cruel treatment towards children. For example, in Northern Cameroon, young albinos are considered to be evil spirits. Because of this, they are generally killed at birth. Similarly, in western Cameroon, twins are perceived as mysterious beings. From their birth, rites are practised in order to eliminate their “powers”. When twins die, their parents believe that their children, seen as evil spirits, had to die. In theory, Cameroon recognizes that children have the right to a free education. Yet, parents continue to finance their children’s studies. This hinders access to school for underprivileged children. Although Cameroon has improved its educational offerings, gender and regional disparities exist. For example, in the extreme north, Adamawa, the east and the north, the enrolment rate remains relatively weak. 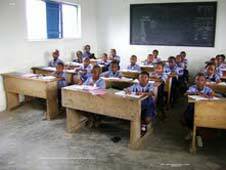 Overall, there is a lack of supplies, educational equipment, and high quality teaching necessary for the Cameroonian education system to fulfil its potential. 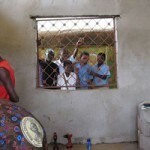 In Cameroon, the prison system is outdated and facilities are overcrowded. Even now, children are still detained with adults. However, in collaboration with international organizations, the country has considered soon creating quarters exclusively dedicated to imprisoned minors: training, libraries, and video libraries should also be at their disposal. While waiting for their situation to improve, incarcerated children, still have scholarly or professional training at their disposal in these institutions. Furthermore, they can enjoy leisure activities such as dancing, sports, board games, etc.